This is a photograph I made inside a school on a Sunday, totally deserted. What I loved about this picture was the difference between these two blue buckets which initially appear to be the same but the closer you go in, the more you realize these two blue buckets are very different. 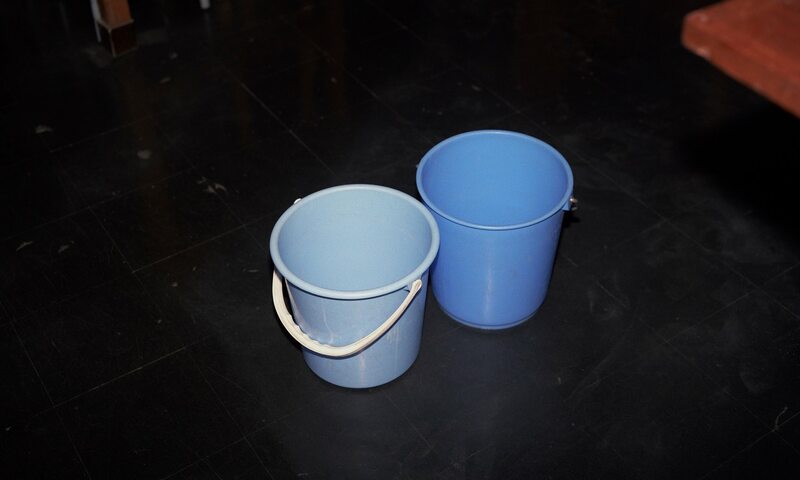 Two Blue Buckets (Directors Cut) by PETER FRASER has been very recently (re)-published by Peperoni books.